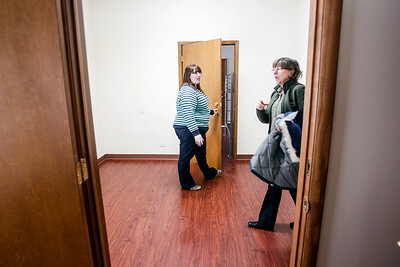 Sarah Nader- snader@shawmedia.com A view of two dorm rooms that were part of the new expansion at Home of the Sparrow in McHenry Friday, January 16, 2015. The expansion added five new dorm rooms as well as an additional kitchen and laundry facilities and was funded using a community development block grant and donations. Sarah Nader- snader@shawmedia.com Heather Fisher (left), child and family therapist, shows Barbra Iehl, grants manager, around the new expansion at Home of the Sparrow in McHenry Friday, January 16, 2015. The expansion added five new dorm rooms as well as an additional kitchen and laundry facilities and was funded using a community development block grant and donations. 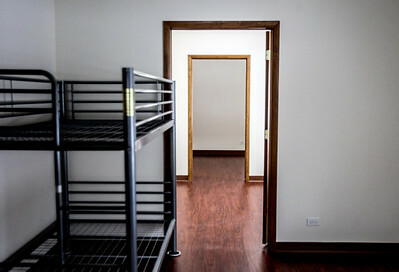 A view of two dorm rooms that were part of the new expansion at Home of the Sparrow in McHenry Friday, January 16, 2015. The expansion added five new dorm rooms as well as an additional kitchen and laundry facilities and was funded using a community development block grant and donations.